Renuka's candidature was decided a day after TRS decided to field Nama Nagrswara Rao from Khammam. The Congress on Friday night declared 34 more candidates for the Lok Sabha fielding Renuka Choudhary from Khammam, Manickam Tagore from Virudhunagar in Tamil Nadu, Vikramadiya Singh from Udhampur and Raman Bhalla from Jammu. The candidates include four from Chhattisgarh, two each from Jammu and Kashmir Tripura and Odisha, five from Maharashtra, eight from Tamil Nadu, nine from Uttar Pradesh and one each from Telangana and Puducherry. Congress has changed seat of its Uttar Pradesh unit chief Raj Babbar. He will now contest from Fatehpur Sikri instead of Moradabad. Vikramadiya Singh, who is contesting from Udhampur, is the son of former union minister Karan Singh. Party leader Ghulam Nabi Azad had fought the last parliamentary election from Udhampur and lost to Jitendra Singh of BJP. Azad is the Leader of Opposition in Rajya Sabha. 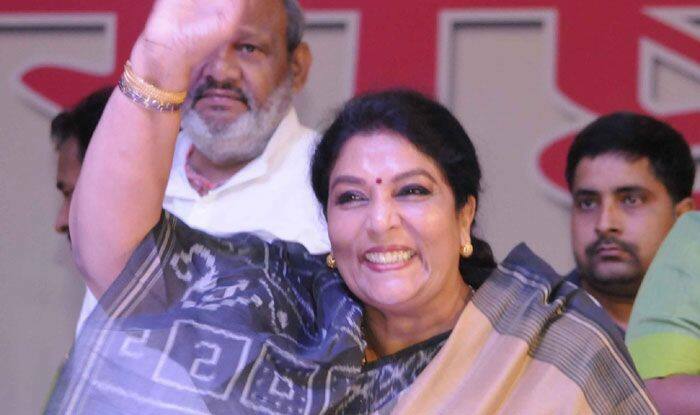 The Congress named former Union Minister and senior leader Renuka Chowdhary as its candidate for Khammam Lok Sabha seat in Telangana. Her name figured in the seventh list of candidates announced by the Central Election Committee on Friday night. The party had already announced candidates for 16 seats in Telangana and only Khammam was pending. The decision came a day after Telangana Rashtra Samithi (TRS) decided to field Nama Nagrswara Rao from Khammam, hours after he quit the Telugu Desam Party (TDP) and joined the Telangana Rashtra Samithi (TRS). Chowdhary, who was elected from Khammam in 1999 and 2004, lost to Nageswara Rao of TDP in 2009. In 2014, Congress left the seat for Communist Party of India (CPI). P Srinivas Reddy of YSR Congress was elected and later joined TRS.